I remember a warm and quiet evening in Lebanon, when a terrible sound resonated loudly in the sky. It overpowered our senses and thoughts. The country was being bombed. It was terrifying. The sound was shaking the walls of our home and shaking us to our very core. We felt like a mosquitos, I did not know how to get rid of the fear and the feeling of vulnerability. Our culture is obsessed with power and control. On a global scale, we want to control other nations, their actions, the animals, the Earth and our fut­­ure. This comes from the small self, ego. Feeling that things are “under control” gives the ego an illusionary sense of power over the unknown. Residing in the ego keeps us in ignorance and separation from our true source of power, our divine nature. As yogis, we come to realize thatthe only thing we can have control over is how we allow thoughts to affect us. Master Patanjali defines the practice of yoga and its goal as: ”yogaś citta-vṛtti-nirodhaḥ”. Yogaś means union, bliss; Citta means mind stuff; vrtti means fluctuation and nirodhah, means cessation. The practice of yoga is to let go of identification with the movements of the mind and connect more to the core of being, the unchanging reality. If one is not practicing this, one ends up identifying with its fluctuations, which pull in many directions. It becomes a “yoyo” life, versus a yogic life. We have the choice to either be passive passengers on the roller coaster of the thoughts; or we can become the master of our thoughts, using the mind as a tool for attaining peace and serenity, chitta prasadasam. The yogi’s job is to train the mind to detach from external thoughts and find peace within.One of the tools in this practice is Nada Yoga, the Yoga of Sound. Imagine a situation where you are identifying with an obsessive thought. The mind goes around and around on the same thought, like a record stuck in agroove. At a time like this, it can be helpful to play uplifting music. Listen and chant to it. Dance too. Watch how the drama diminishes. The vibrations of sound affect and realign all the cells of our being. They uplift the worried mind and lighten the emotional state. Many ancient traditions use music as medicine. Using a mantra is a form of Nada Yoga. Man means “mind”, tra means “ to traverse, go beyond”. Mantras are formulasthat cut into and through the spinning mind. The repetition of mantra (japa) creates breath patterns thatrelax the activity of the mind. During japa, the tongue rhythmically strikes the palate and some of its 84 energy channels (nadis). This process stimulates the pituitary and pineal glands creating a neurochemical release that affects the hypothalamus and controls th ebrain-mind-body-emotions loop. When one pulls the strings of a guitar and then stops, the vibrations continue and remain for a while. Similarly, when we repeat mantras, the vibrat­­ions of the sacred sounds continue to affect us, even after we’ve stopped. Choose a comfortable seat, sit straight, be still and repeatedly chant the sound “AUM” aloud for five minutes. Notice the subtle effects — the changes in your breath, in your emotional state, and in your mind. Patanjali states in the Yoga Sutra, that through the experience of repeating mantra andreflecting upon AUM, you experience the primal sound of the divine. (YS I, 27 to 29). The scriptures tell us that the sound AUM is God. Repetition of God’s nameprotects the mind and uplifts us beyond the ego. The more attentive and focusedthe mind becomes, the more tuned to itspower source. The yogic practices enable the yogi to observe thoughts and resistances in the mind as an impartial witness, sakshi. Through witnessing the mind, avidya (ignorance of the true self) is dissolved. The yogi gains clarity. Through this alchemical process, the mind and ego are purified in the fire of transformation, tapas. Yoga transforms controlling tendencies into humility and faith. It opens the door to identify with one’s true nature, the highest Consciousness. Unlike a military soldier, a spiritual warrior fights for Peace and Truth. In our heart, we all longfor peace. Although “fighting for peace” may sound like a paradox, a spiritual warrior recognizes conflict is often present in the depths of themind and knows the true battlefield is inside the self. By controlli­ng the mind, she controls her world. By means of a committed practice and discipline to cut through non-serving thoughts, a spiritual warrior learns how to meet the challenge, cross over obstacles and develop lasting peace and truth within the heart. When Truth of the heart is found, the mind resides in Peace. Through peace of mind, one can reach the heights of Consciousness. 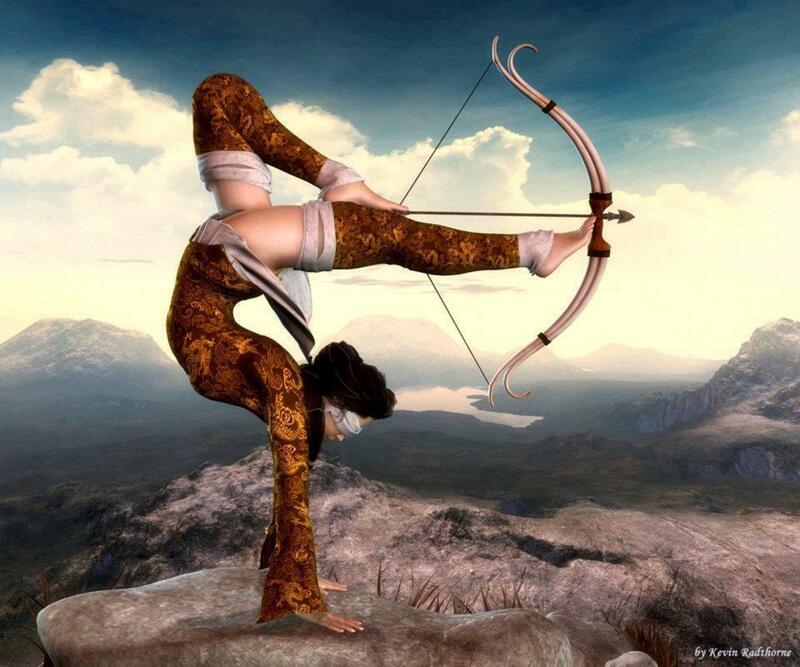 Even in the midst of conflicts, whether inner or outer, a committed warrior is not disturbed at her core. She/ He is able to discern the path and remain aligned to act from Truth. To stand steadily for Truth in the presence of conflict builds courage, power, integrity and commitment. That night in Lebanon, I chanted sacred sounds the whole night long, to counter the destructive sound of the bombs. A spiritual warrior tunes her mind and takes refuge inthe sweet sound of the divine. Chanting, she/he sends uplifting vibrations that benefit all nations, humans, animals and the Earth. Even leaders of nations know the power of chanting to create a certain mindset – people go to war chanting. By finding Peace within, the Spiritual Warrior inspires all of humankind. She/he exemplifies a peaceful lifestyle. Peace is a practice, an experience of Truth in action – personal, cultural, and universal. The life of a Spiritual Warrior is an action for peace. This is the way of the Spiritual Warrior. This is the true identity, the true Victory. I never really knew what to do with my Lebanese identity. I was often wondering if I was really Lebanese or not. My parents were telling me we were “French, but not really”. For the most part of my life, I didn’t really understand what it meant. When I was three years old, I stopped going to Lebanon until I turned eight. When I was eight, we went to Lebanon from Cyprus by ship – we couldn’t fly to Lebanon. I remember seeing this land of misery and beauty, so mysterious, from the little window of my cabin. We were living in Paris, before going to bed every night, we sat in front of the TV watching the 8pm news with my father. Every night, on the yellowish-beige TV screen, I watched bombs falling. My father was telling me it was “my country”, and my family was living there. I did not understand how they could live there. How could someone possibly live there? We were “French, but not really”. We were “Lebanese, but not really”. After 21 years of the civil war in Lebanon, I moved there for a few years. I was 17 years old, I wanted to understand; what it meant to be “French, but not really”. At that time, I did not speak any Arabic; when I was growing up, my parents would speak French all the time, but they would fight in Arabic, Lebanese. So when I moved to Lebanon, I just knew how to curse in Arabic. When I was driving and had to stop at army checkpoints, I did not even know to say “may peace be with you” (“ma3 salam”), but I knew how to say “your mother’s a**, son of a b*” (“kess emak akho charmouta”). At the university in Lebanon, I studied Art and Philosophy of Religion, Spirituality, and Mysticism. I was living in the christian quarters; at the time, the districts were still divided according to religions. But I fell in love with someone who lived on the other side of the demarcation line. I kept a scarf in my car to cover my shoulders, just out of respect for his neighbors, when I went to visit him. I lived for six years in Beirut, Lebanon. I was “Lebanese, but not really”. In Lebanon, I met narcissistic people with oversized egos. However, I also met people of tremendous strength, with such incomparable wild joy, and with this special warm and open Mediterranean heart. The energy was intense and shifted constantly; too intense, too fragmented, too much – too much of everything. Even though the war brought destruction and disillusionment, people were hungry to finally live, live to the maximum. Out of death and destruction came rebirth and revival of the “phoenix”. We danced on graves, we were dreaming of a better world on the carcasses of the houses and parking areas, without taking the time to grieve the past, which was not really the past yet. We thought only about getting drunk of the present moment, forgetting those 21 years of war, and caring little for the future. Future? What does it mean, future? A few years later, I came back to France and met one of my first yoga teacher. He sent me on a vision quest in the forest and told me to find “my” trees. I obeyed. I found three Mediterranean olive trees, in the middle of the French Alps, in the Vercors where olive trees had no reason to grow. But they were there; and they were blooming. I was a pure “exported”product of war, disconnected from my roots. I was “French, but not really”. I was “Lebanese, but not really”. 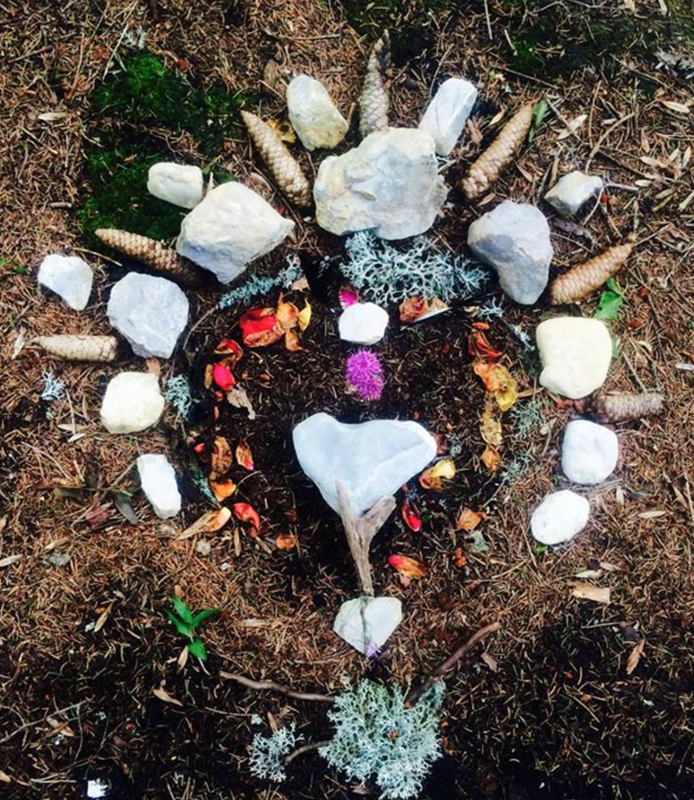 With time, through Yoga and my quest for my “real” identity, I came to realize that it’s not about choosing or identifying with one culture, one land, but finding and connecting with the roots within, and beyond. Sat Nam – ultimate Truth I choose as my identity. Life is a flirt and an endless dance with polarities. Embracing joy and sadness, happiness and sorrow, life and death, light and darkness, peace and war, beauty and ignorance (avidya)of the humankind. My spiritual name is Karing Kaur, the one who all-encompasses the creation, the creator, in all its aspects; bringing it back to Oneness. They say that the spiritual name is one’s gift, challenge, and mission at the same time. It is one’s path. The product of war, today, humbly serves others and Peace. Bowing down to the Lotus feet of my parents, my divine Teachers, all my men who made me feel “home”, all my friends, all the holy beings in my Life; and Life itself, for what it is. May all beings everywhere be happy and free; and may the thoughts, words and actions of my own Life contribute in some way to that happiness and that Freedom for all. May we never Give Up, always Keep Up. Je n’ai jamais su quoi faire de cette identité libanaise. Longtemps, je n’ai pas su si j’étais vraiment libanaise ou pas. Mes parents me disaient que j’étais « française mais pas vraiment », je ne savais pas ce que voulait dire libanaise non plus. J’ai arrêté d’aller au Liban à mes 3 ans jusqu’à mes 8 ans où nous sommes arrivés en bateau de Chypre, on ne pouvait pas prendre l’avion à l’époque. Je me souviens voir, au réveil, cette terre de misère et de beauté, si mystérieuse, de ma petite lucarne. Après les vingt et un ans de guerre civile, j’ai été vivre au Liban. J’avais 17 ans, je voulais comprendre. Pourquoi j’étais « française, mais pas vraiment ». Je ne parlais pas l’arabe, mes parents parlaient tout le temps en français, mais ils se disputaient en libanais. Je ne savais qu’insulter en arabe. Quand je conduisais et que je devais m’arrêter aux barrages de l’armée, je ne savais même pas dire « que la Paix soit avec vous » (“ma3salam”) mais je savais dire ” le c*** de ta mère, fils de p*” (“kess emak akho charmouta”). J’y ai fait des études d’Art et de Philosophie des religions, spécialité spiritualité mysticisme. Je vivais dans le quartier chrétien, à l’époque les quartiers étaient encore bien divisés entre religions. Je suis tombée amoureuse, il vivait de l’autre côté de la ligne de démarcation. J’avais un foulard dans ma voiture pour couvrir mes épaules des voisins quand j’y allais, par respect. J’ai vécu six ans à Beyrouth, j’étais « libanaise mais pas vraiment ». J’y ai connu des gens avec des égos démesurés et narcissiques comme on en voit rarement; j’y ai aussi connu des gens avec une force et une joie de vivre inégalables, avec ce cœur ouvert, si particulier de la Méditerranée. L’énergie était décalée constamment, trop intense, trop éclatée, trop « trop ». On dansait sur les tombes, on refaisait le monde sur les carcasses des maisons et dans les parkings, avant même de faire le deuil d’un passé qui n’en était pas vraiment un, on ne pensait qu’a se soûler, se soûler du présent, oubliant les vingt et un ans et se souciant peu du futur. Le futur c’est quoi? Quand je suis rentrée vivre à Paris, j’ai rencontré mon premier maître de Yoga, il m’a envoyé en quête de vision dans la forêt, et m’a dit d’aller chercher « mes » arbres. Je me suis exécutée. J’ai trouvé trois oliviers en plein Vercors. Là où il n’y a aucune raison que des oliviers méditerranéens ne poussent, mais ils étaient là, heureux et épanouis dans les Alpes françaises. J’étais un pur produit « exporté » de la guerre et du déracinement. J’étais « française, mais pas vraiment ». J’étais « libanaise, mais pas vraiment ». A travers le Yoga et ma recherche personnelle, j’ai réalisé qu’il ne s’agissait pas de choisir ou de s’identifier avec une culture ou un pays, mais de trouver et se connecter aux racines à l’intérieur, et au delà. Sat Nam – je choisis la« Vérité » comme identité. La vie est un flirt, une danse avec les polarités embrassant la joie et la peine, le bonheur et la tristesse, la lumière et l’obscurité, la paix et la guerre, la beauté et l’ignorance (avidya), la monstruosité des hommes. Mon nom spirituel est Karing Kaur, celle qui englobe et embrasse la création dans tous ses aspects, les ramène à l’un. Il est dit que le nom spirituel est notre don, notre challenge et notre mission. C’est notre voie, notre voix. Aujourd’hui, le produit de guerre, sert humblement la Paix. Bowing down to the Lotus feet of my parents, my Teachers, the holy beings in my Life and Life itself, for what it is. Que tous les êtres partout dans le monde soient heureux et libres. Et puissent mes pensées, mes mots et mes actions contribuer d’une certaine manière, à ce bonheur et cette liberté pour tous. Keep Up. Carol issa Karing Kaur, extraits de « Décalage ». Our world is out of balance. Patanjali declares in Yoga Sutra II, 46, that yogis should establish a steady and joyful connection/ relationship with the Earth, including all beings, humans, animals and Mother Nature. A steady and joyful connection implies that the relationship should be balanced, mutually beneficial. In our project to do so, Patanjali Asthanga’s system (8 steps plan to Yoga, Union) gives us the steps to follow, the 1st limb is the five yamas, or restrictions; one should to observe in regard of his relationships with all other beings. The first yama is Ahimsa or non-harming, non-violence, first touchstone of our project. To support our goal, we should develop the most possible peaceful lifestyle. Thus, a yogi must develop a vegan compassionate diet, not killing animals in order to eat them; and not use animals’ derived products. The third yama is asteya or non-stealing. The meat and dairies industries steal the lives of animals, steal their babies and steal the food produced for these babies (milk), etc. In that sense a peaceful yogi can’t support these industries by eating meat or dairies. The fourth yama is Brahmacharya, it means sexual continence. Currently, in order to produce milk, eggs and other animal products, animals are abused sexually and often endure other atrocities at the hand of men. The 5th yama is Aparigraha or greedlesness. A human doesn’t need to eat meat or dairy to be healthy. Ironically, the opposite is true. The food industry will have us believe that we must consume animal products, and what is more in big quantities. Not only is this false, it also promotes over-consummation, thinking we need more than what we actually do. These products are advertised with images of happy cows and pigs, when in reality the slaughter houses and dairy factories are just the opposite. Such lies goes against the second yama Satya or Truthfulness. Many ignore the « inconvenient truth » about the realities of the food industry as these are hidden so as to support its financial gain. This leads the consumer to living in Avidya (first klesha described by Patanjali, or mind affliction, obstacle that one should transcend in order to attain yoga). The relationship with others is out of balance, our culture supports violence, lies, steals, abuses other beings by enslaving them, exploiting them and killing them. We can’t hope for happiness and balance if we deprive others from happiness; we can’t hope for freedom if we exploit others. In addition, raising animals for food creates more greenhouse gas emissions than all transportations worldwide. It causes more water pollution, ocean pollution than any other industries, and waist a huge amount of water. These industries contribute to deforestation in order to grow crops to feed these animals. Most of the crops are genetically modified and pollute the earth. Animal agriculture kills the planet. In order to attain union, yoga, one should heal the disease of separation created by our « cult-ure » and the egoism by which we live (asmita, egoism or individualism is the second klesha) keeping ourselves disconnected from the importance of having actions that benefit all and not only us. Yogis see Truth, balance and union. Beyond asanas and other practices, yogis are aware of our interconnectedness, Oneness and « dares to care » about all beings. They must show the way to Truth and set an example through their worlds and deeds of a peaceful, conscious, compassionate and happy lifestyle through. 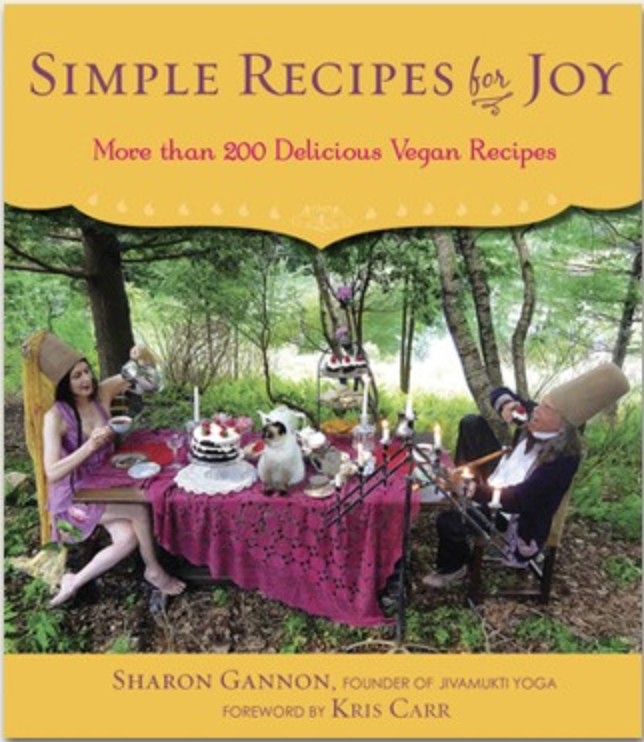 As says Sharon Gannon: “There is nothing more political than what you eat, where you live, how you live and the way you dress”. 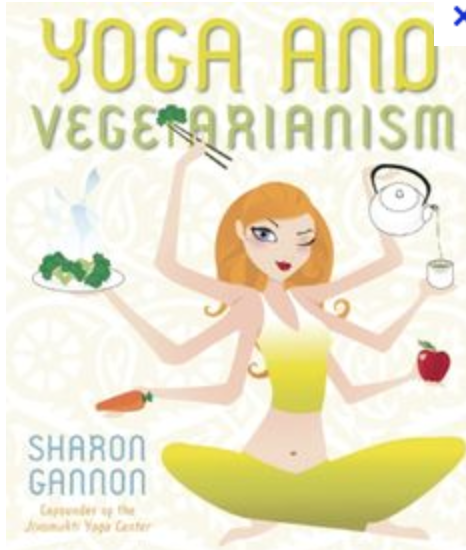 Veganism is the most effective way to live in harmony and to save our planet; and thus is a touchstone to attain Yoga.